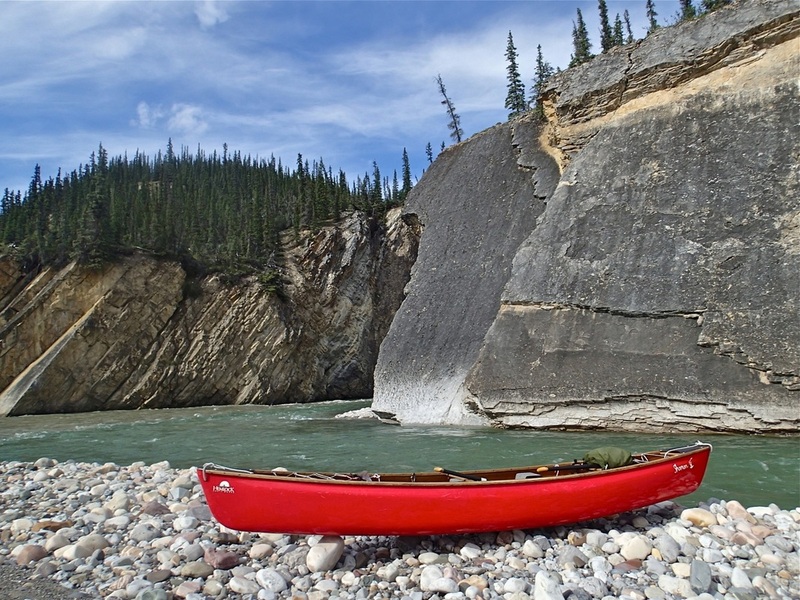 The photos below show the SHAMAN being used as a compact river tripping canoe on a remote river in the Northwest Territories, Canada, when the airlines were not able to accommodate the longer SRT on this trip. These six photos are part of a group taken of the SHAMAN by the designer on a self supported 16-day remote wilderness trip on the Mountain River in the Northwest Territories with all gear carried in the canoe. 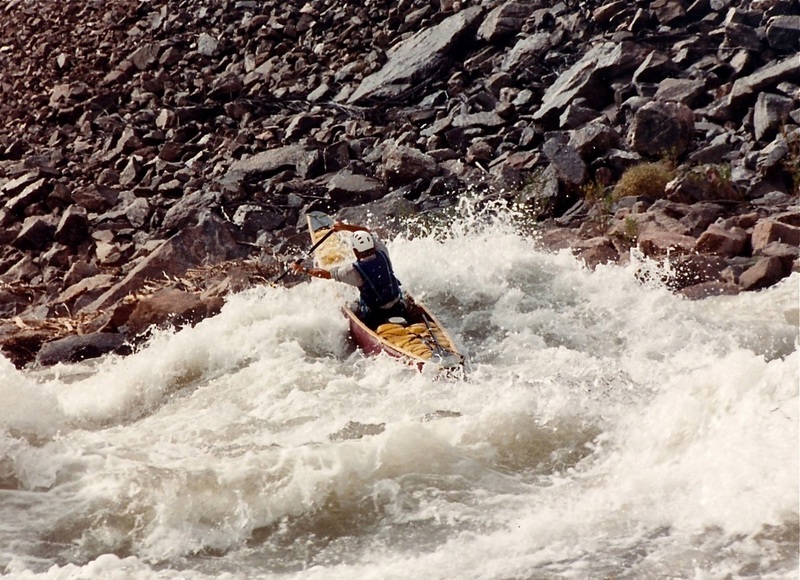 The Mountain River is a continuous flowing river with intermediate whitewater and spectacular scenery. This trip covered a little over 200 miles on the river with some complex travel logistics from the Eastern United States. Planning and logistics can vary for each adventure. 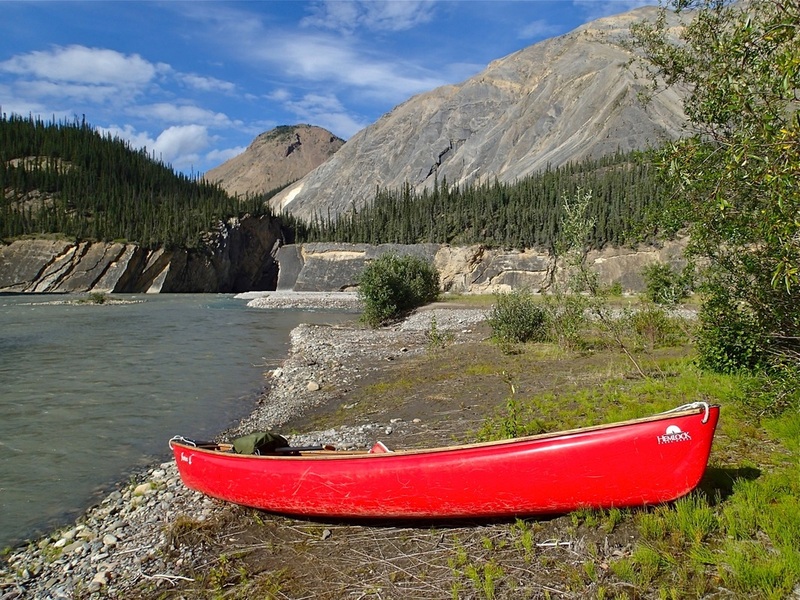 There are no roads to the village where the connection with a float plane was made. 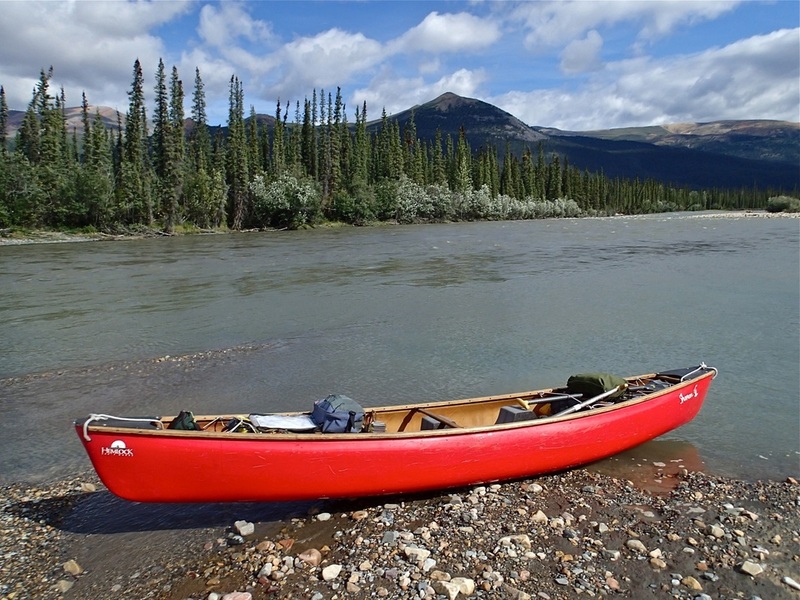 The SHAMAN is typically used as a play-boat and outfitted with a foam saddle and the normal whitewater components. It substituted the SRT model on this trip because the SHAMAN would fit into the cargo compartment of the commercial airplane used for the flight route to that region, and the SRT typically chosen for trips of this nature could not be accommodated with the airline constraints at that time. 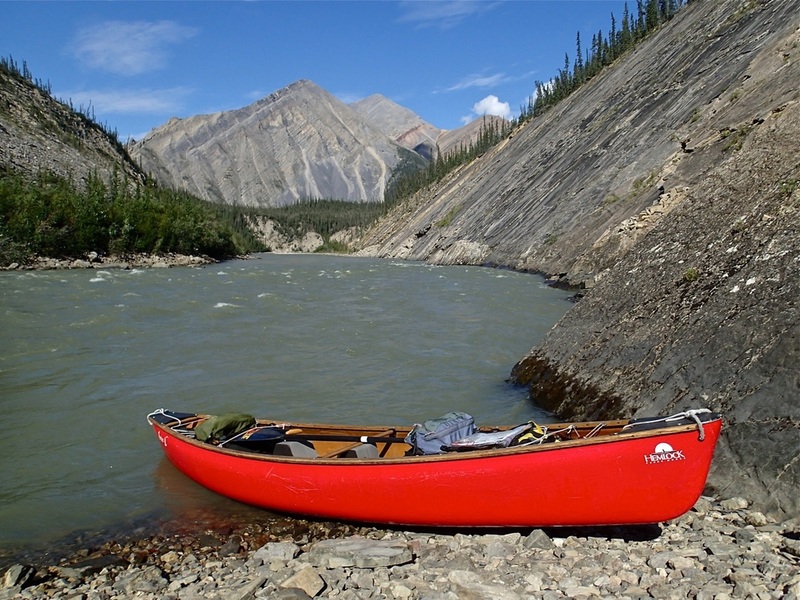 The SHAMAN has also been used on multi-day raft supported whitewater trips such as the Grand Canyon. 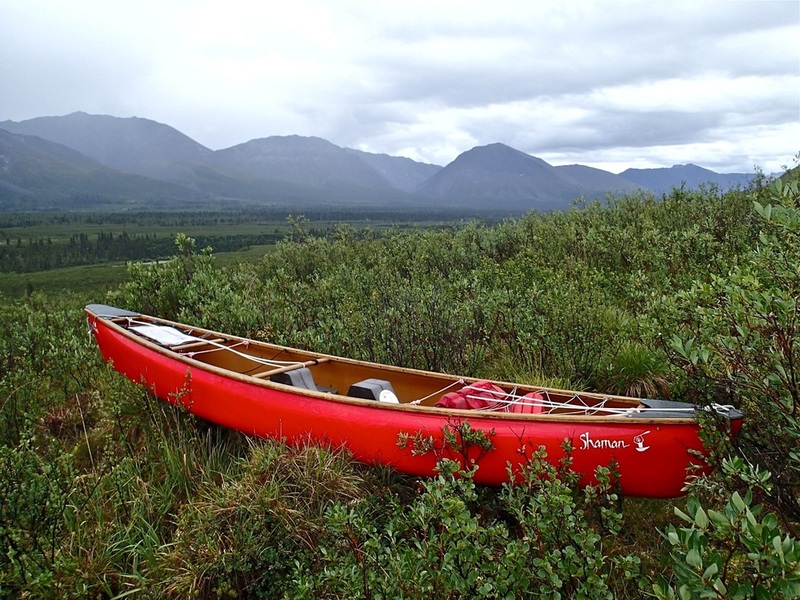 The SHAMAN performed wonderfully with gear on this type of trip and illustrates the additional use this solo play-boat is capable of, be it a two or three day local overnight downriver touring run, or something more extended. Some minor adjustments were made about footwear worn because of the saddle versus a seat and the day packs used but otherwise the floatation bags were replaced by the full packs loaded in the bow and stern the same as would have been in the SRT. 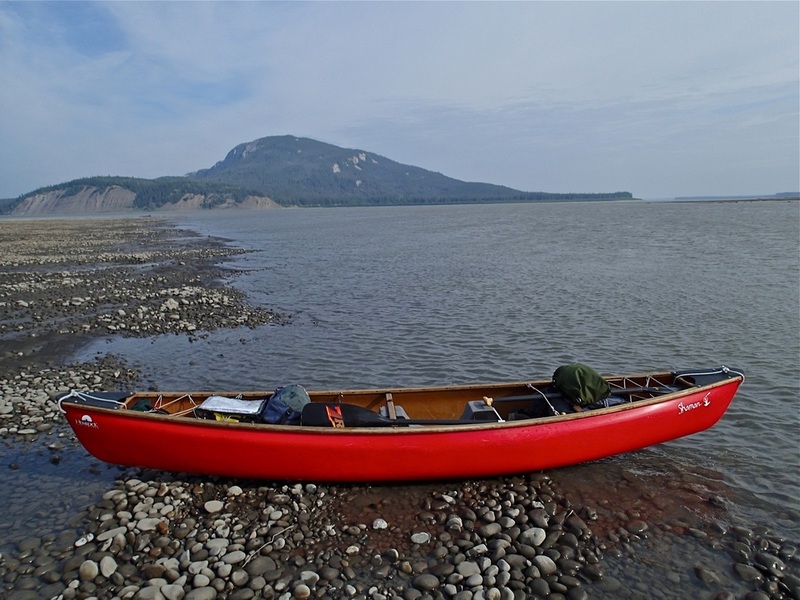 Enough space still existed behind the saddle for a 30-liter food barrel, adding capacity to the standard food barrel stowed in the stern canoe pack.